No matter how involved corporate America gets in the winter holiday season, there is one thing that hasn’t changed: family. It is still traditional for families to gather together this time of year in an effort to maintain emotional stability: presents make one happy, and family can get on one’s nerves. And so, this leads to the inevitable; you are forced to deal with those family members whom you can’t stand. It happens to all of us, except the Neanderthal on the Geico Commercials (because he’s the one his family can’t stand; so there’s no one to annoy him). Here’s a rundown of the common culprits. Just the fact that you were thinking ‘what could go wrong?’ should be an indicator that something is going to go terribly wrong. And it will. You see, these little kids are absolutely terrific at finding ways to make trouble, because, believe it or not, they have less common sense than yourself. For example, let’s say you are sitting in an unused room with just one 3 year old in the center of a sofa. They can’t hurt themselves on the soft sofa, and they aren’t close to the edge. But wait-they are about to spit up on the pillow, which was a gift from Great Aunt Mildred, who will be arriving tomorrow night. So, you quickly grab the kid and run him over to the garbage can-crisis averted, right? Wrong. It was fake! Instead of spitting up, he/she burps, and then picks up something disgusting from the garbage to put in his/her mouth. Only your quick reflexes allow you to grab the piece of trash and toss it back in the can. While you are preoccupied, though, the kid spits up on the $4,000 Oriental rug. You put them back on the center of the sofa and run for paper towels, just in time to watch the kid fall off the sofa and hit their arm, which makes them start crying. You try to ‘shush’ them, but you haven’t yet wiped up the rug. So, you drag the kid over to the rug while you clean it up. Then, though, they start chewing on the rug, so you try to get them to stop. This causes more screaming, and then they fall on their arm again. This time, the arm falls off, and you aren’t sure what to do. They spit up again, and bite your finger. Their arm starts crawling towards the garbage can. They scream. Your parents walk in and see a dismembered, innocent little kid being abused by their teenage child. Needless to say, guess who gets in trouble? (Hint: it isn’t the rug). These kids are also troublemakers, but the difference is the trouble is intentional. They still have the “Bambi Eyes” face mastered, so they can get away with anything (remember those unsolved “Jack the Ripper” murders?). I shouldn’t have to tell you how to deal with other teens, as you deal with them everyday at school. Please ignore the fact that teens enrolled in school have one of the highest depression rates. These relatives are just plain ‘cool,’ and, thus, you won’t need to deal with them. These relatives can be ‘cool,’ but more often than not they are stricter, nosier ‘parents.’ They demand perfect performance in school, social life, and extracurricular activities. If you’re lucky, though, they’ll spend more time trying to get their kid out of the cement cage in the backyard than talking to you. Whether they are an older uncle or Grandparent, these relatives can be fun to talk to. They realize the ridiculousness of certain things that your parents don’t and so, even if your 80 year old Grandpa doesn’t know “what the big deal is between an A and a C-I didn’t even bother with college. Heck, in my day, I dropped out of school when I was seven and went to work in a type machine factory. Look’et these nice scars…” he’ll certainly find it funny that your parents care. All in all, or none in all, or all in none, or all for one and one for all, or to infinity and beyond-sorry, I’m getting sidetracked-there are very few ways to deal with annoying visiting family members. However, just remember to be thankful that you have these precious moments; sixty years from now you’ll be fondly nostalgic of cleaning up cousin Kimmie’s spit. At least, that’s what I’ve been told. In honor of the holidays, and on the topic of this post, I would like to offer you our ebook bonus content. Titled “10 Skills for Coping with Annoying Family Members,” this is the year-round advice for coping (after all, even cement cages deteriorate eventually). 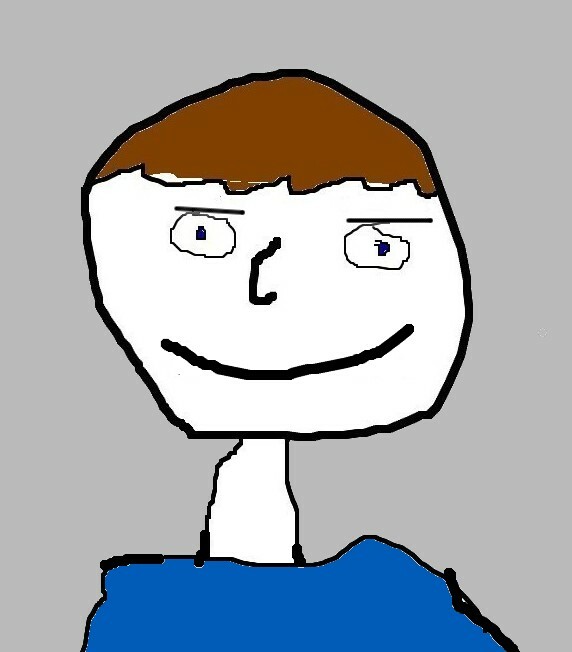 It has 2,000 words and 4 pictures. 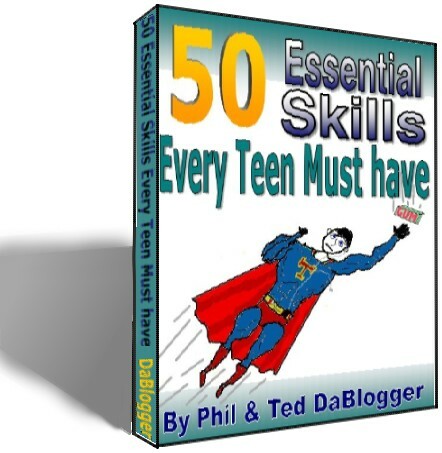 It was originally created to be coupled with our ebook, “50 Skills Every Teen Must Have,” which you can pick up for free here (and so you wouldn’t normally even know about it without first getting our ebook). For a limited time, you can get it without having to get the ebook and enter an e-mail address (if this offer’s expired, just pick up the ebook-the link to this content is at the end of that). Just click on this button to get your gift (details of what will occur are below). UPDATE: as of today (12-25-11) this offer has expired. Sorry. You can still get your hands ‘on’ a (digital) copy by getting our ebook, though. Pick up our ebook here. (You can’t see this button in a feed reader-this will take you to the post). 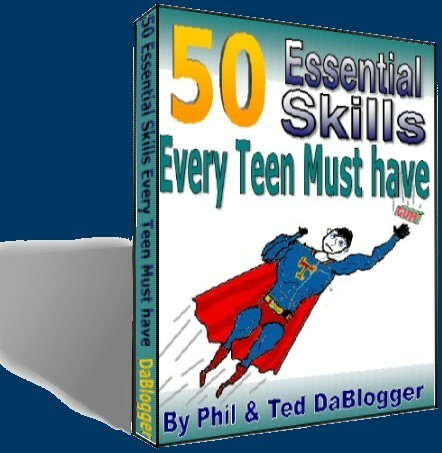 All you need to do is tweet or facebook share the message “Just picked up ‘10 Skills for Coping with Annoying Family Members’ from High School Humor Blog-for free! [link to content]” (using the “share to get” button) and then download your copy from the link. This offer is only good through December 25th, though, so act now. Since it’s free, we won’t offer any return policy, although we will offer “0% APR financing.” If you have any problems, shoot me an email through my contact page.